Last night, on a whim, I ran over to Eastern Plague Lands and tried running through Stratholme. Two purposes, play around with my Felguard and Demo spells, second get my Argent Dawn rep, so following a half-remembered forum post, I went in and started killing. There are prequests. The quests are well detailed in this comment. I plan to try again later this week. Doing these quests would have gotten me to Revered. Since, I am already there, so I was hoping to skip them. My Argent Dawn commission. It was in my bank. Oddly, looking at the commission entry on Wowhead, this has been removed from the game. Supposedly if you had done the prequests, you should be able to pick up a replacement. 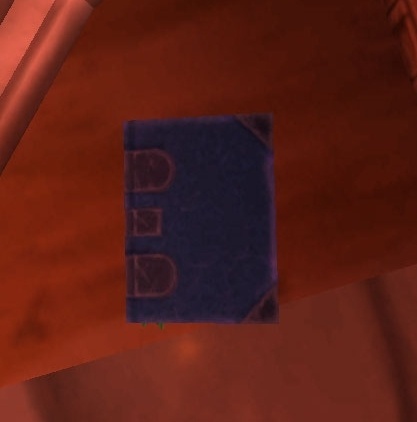 If you're new to the zone, you may never see this trinket. Next time, I'll empty my bags. Each boss dropped 2-3 blue items. 13 possible bosses. On top, there are a number of pickup items (got a journeyman backpack and a BOE pattern) plus quest pickups, cloth and random trash. I ended up not picking up everything, and had to do a ton of bag management to finish. No, I couldn't mount my wooly mammoth to repair or sell. Blizzard! 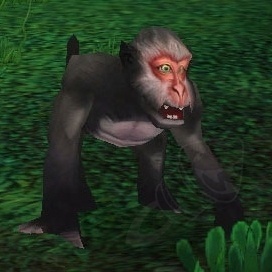 I need a pet monkey to loot corpses for me!! Toss me that loot, monkey! I got my full Argent Dawn rep a long time ago on my hunter and paladin (won't bother with the others) but this dungeon is easy even at 60 now that they've lowered its level.